You would not expect it at a British event…. 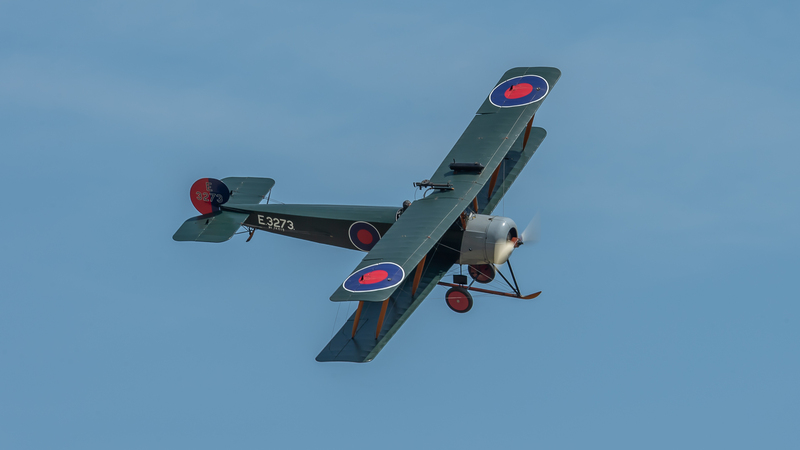 and certainly not in the Summer, having been accustomed to many a downpour this time of year, but we actually had beautiful blue skies and glorious hot sunshine to mark this wonderful occasion and the celebration of the Military Pageant Airshow at Shuttleworth. The P-47 Thunderbolt "Nellie" was allowed to open the Military Pageant Airshow, Manufactured in 1945 and based at 492 FS. 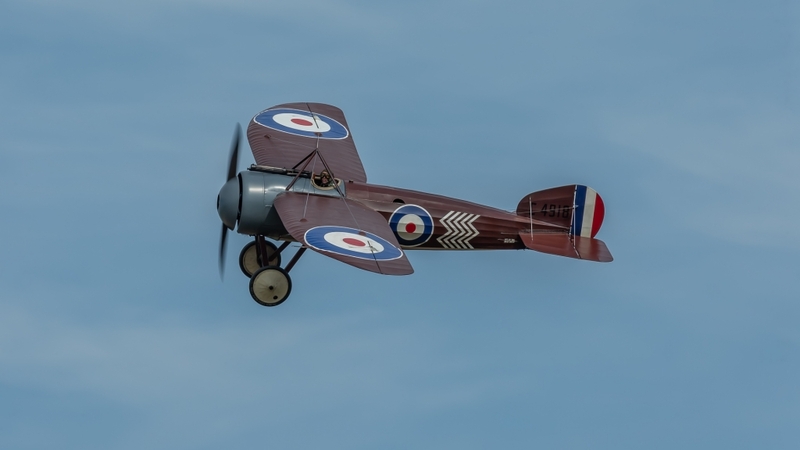 The squadron markings have a distinctive red checkerboard nose with red nose band and red rudder. 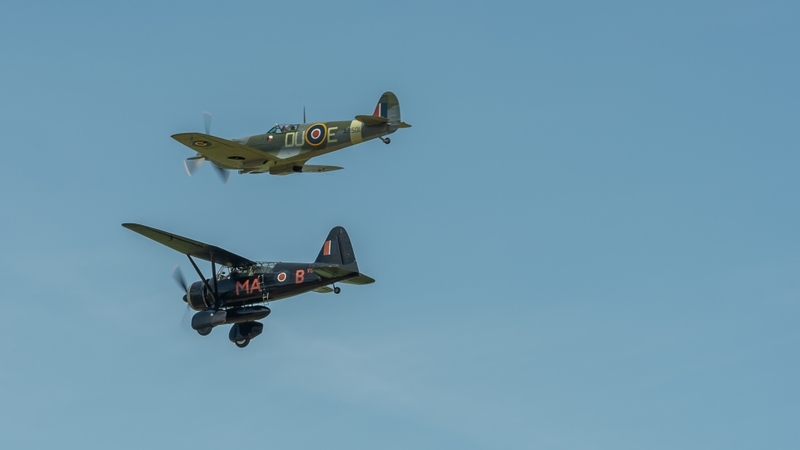 One of the special moments in the airshow was the combination of the Spitfire, the Hurricane and the Lysander. 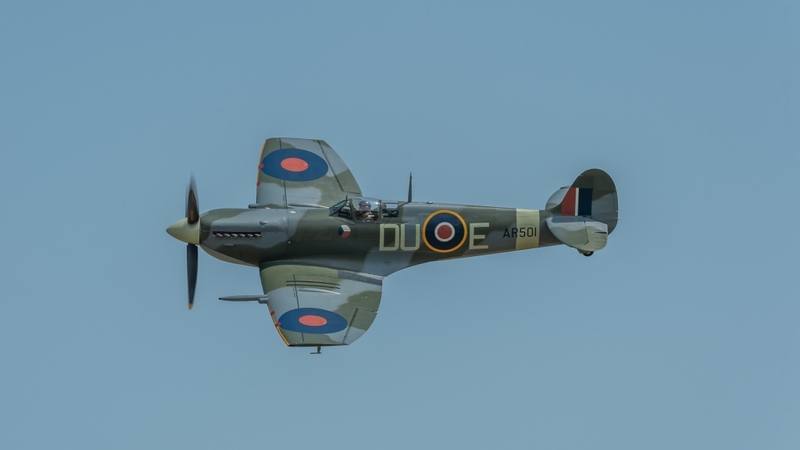 The return to the skies of the Spitfire AR501, a story and restoration which took over 10 years to complete by the Collection’s full-time engineering team and skilled volunteers, involved completely dismantling the airframe into its smallest components to inspect and refurbish all the parts. The project included the complete overhaul of the 1,440hp Rolls Royce Merlin V12 engine, also carried out ‘in house’ and a new propeller and spinner. Another successful restoration was the Hawker Sea Hurricane Z 7015. In January 1986, the team that had restored the Spitfire VC AR501 took on the task in a joint operation between the Shuttleworth Collection and the Imperial War Museum. On 16th September 1995, Z7015 made a successful post restoration flight powered by what was, at the time, the world’s only operational Merlin III and the last airworthy example of a Hawker Sea Hurricane in the world. 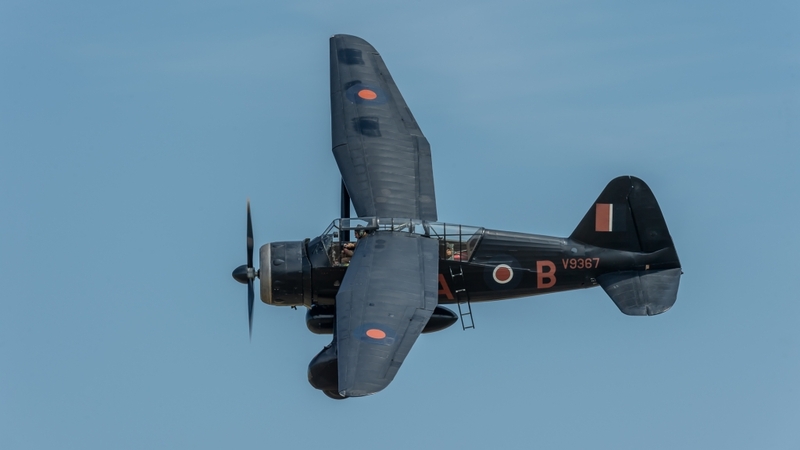 The last actor on the set was the Westland Lysander, which was nominated for the role of The Art of Espionage. 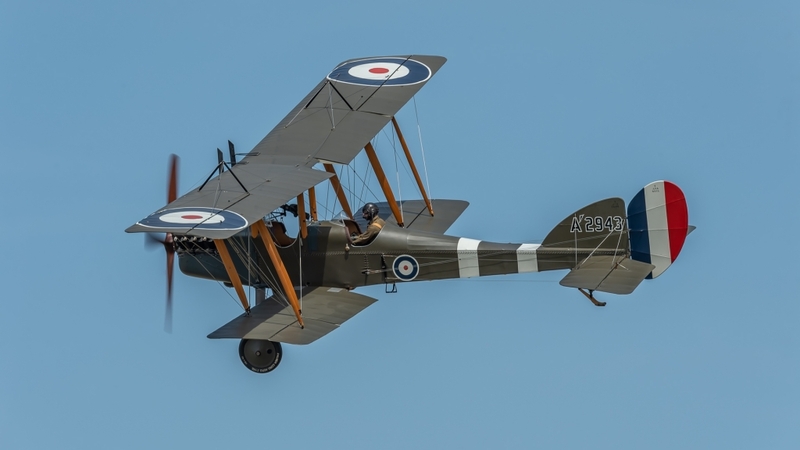 The Avro 504 K, a masterpiece in the British aviation industry with British aircraft designed by British designers and made by British engineers/craftsmen. 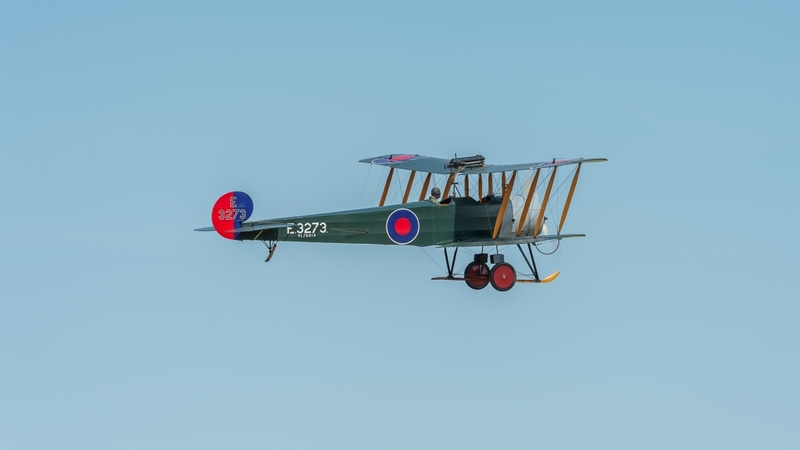 After WWII, it was returned to civilian use and converted back to K specification by Avro apprentices for the film Reach for the Sky – and then donated to the Shuttleworth Collection. 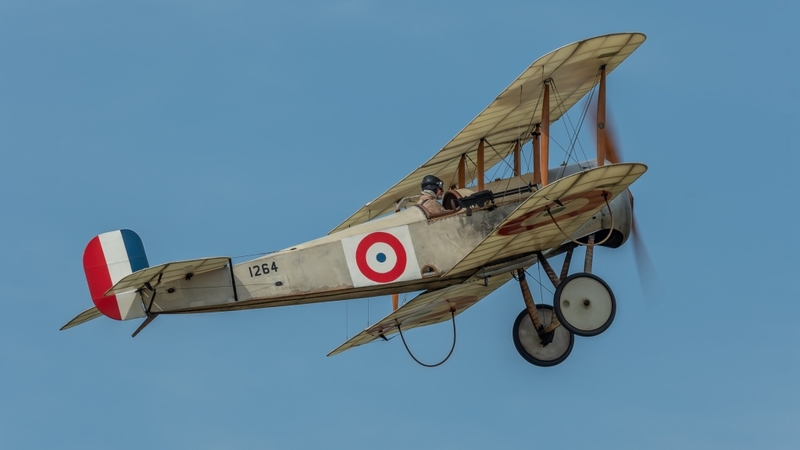 The 1917 Bristol F2.B Fighter was a British two-seater biplane fighter and reconnaissance aircraft of the First World War developed by Frank Barnwell at the Bristol Aeroplane Company and after its time in the War, the Bristol F2.B/D8096 came into the entrusted care of the Shuttleworth Collection. 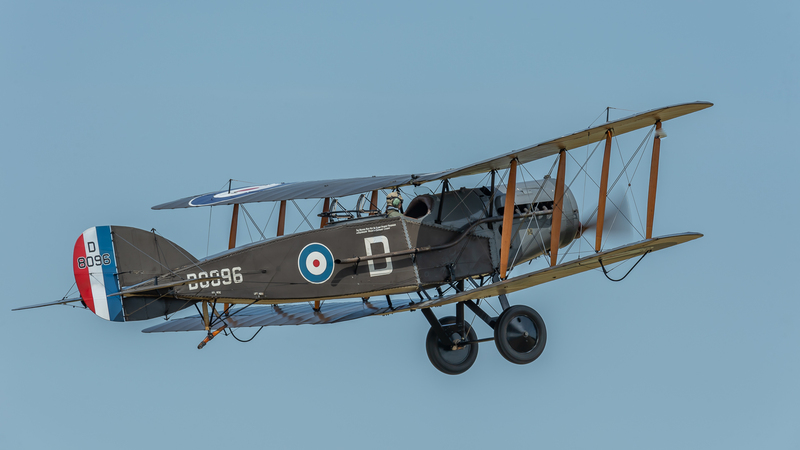 After twenty-eight years with the Shuttleworth Collection, the Bristol F2.B underwent a complete refurbishment from engine to airframe during 1980-82. In 1992 the engine (the oldest working Rolls-Royce aero engine in the world) was replaced by an overhauled unit. The original was rebuilt and is kept as a fully working spare. 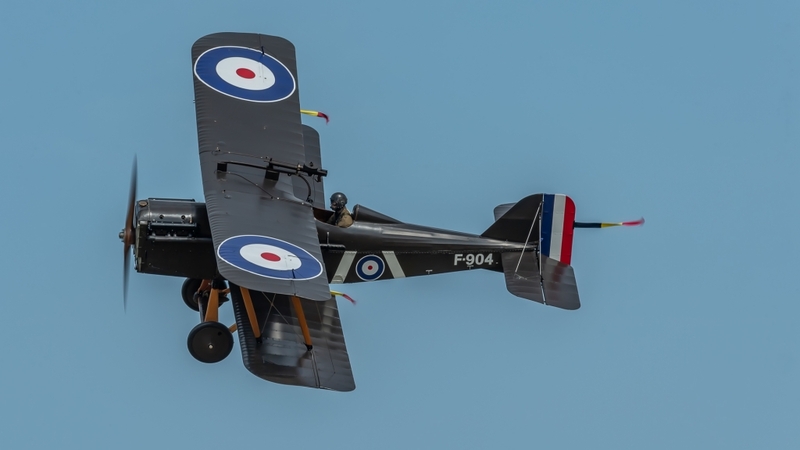 The Collection’s Bristol Fighter is the only airworthy original flying example in Europe.Aerial combat from the First World War display team, ‘The Bremont Great War Display Team’. 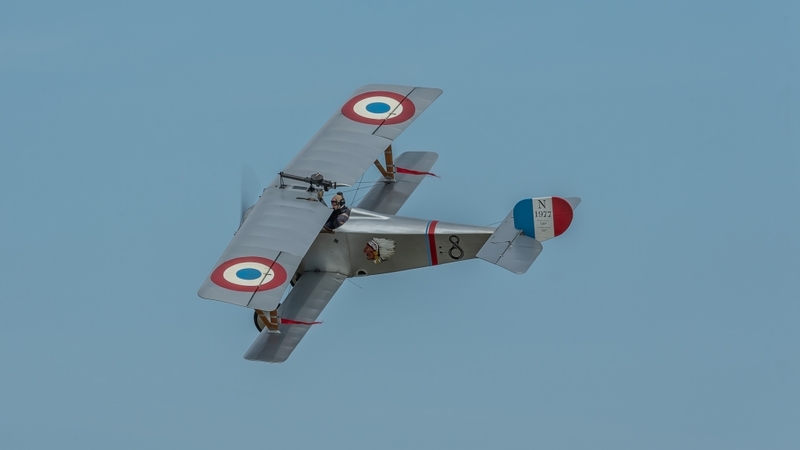 The Team flew their aircraft, including the Fokker DR1 Triplane, the Sopwith triplane and the Avro 504 built under license in Argentina from original plan. 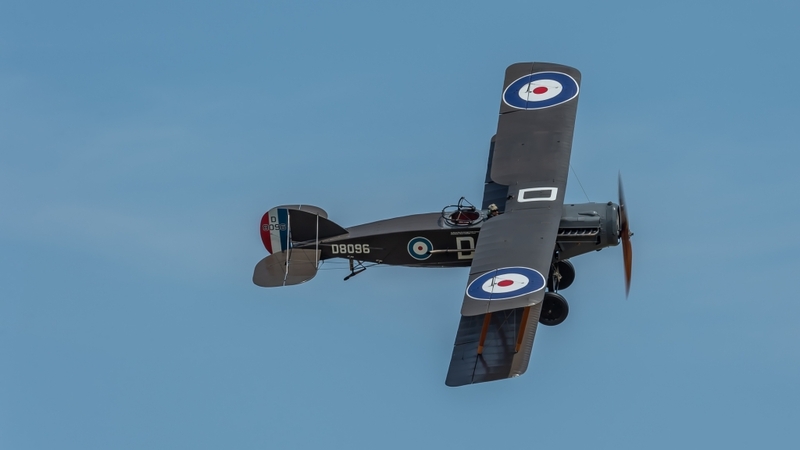 This beautiful Avro 504 replica is owned by Eric Verdon Roe. Furthermore, in this beautiful collection, two aircraft from the Royal Aircraft Factory at Farnborough, the BE2C and the SE5A . The last aircraft that brought the display team over the fields of Shuttleworth was the Junkers CL1. 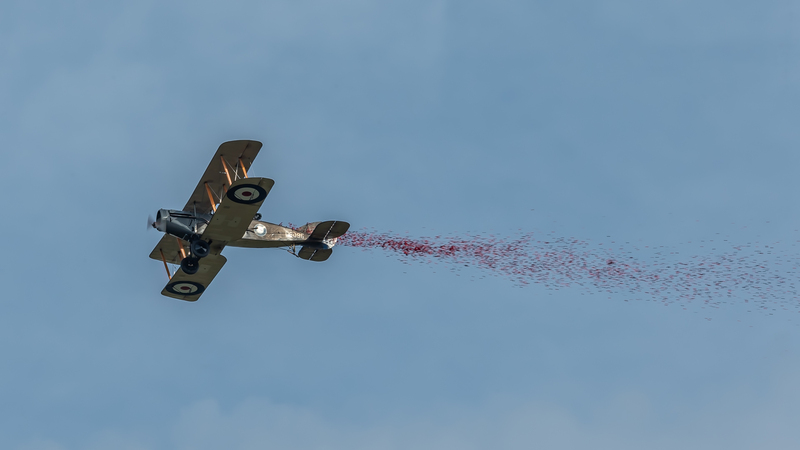 Their routine of swirling dogfights looked stunning over the beautiful countryside of the Shuttleworth display area. The Avro Anson is a British twin-engined, multi-role aircraft, but was mainly used as a trainer and built by the aircraft manufacturer Avro. The Avro C19 Anson /TX176 from the Shuttleworth Collection flew again on 8th March 2002 after an extremely difficult restoration by a handful of volunteer and retired staff. The Avro Lancaster, the most successful British heavy bomber of World War II, powered by two 24-cylinder Rolls-Royce Vulture engines and armed with a mixed load of high-explosive bombs and a powered tail turret mounting four 0.303-inch (7.7-mm) machine guns, a powered twin-0.303 turret on the upper rear fuselage and a pair of 0.303s in the nose; a few had twin-0.303 belly turrets and operated by a basic crew of seven, including the pilot, co-pilot, bombardier, navigator, radioman, and gunners. Sadly, many of these young crew lost their lives over enemy lines during nightly bombings. The Lancaster PA474 from the Battle of Britain Memorial Flight is one of only two Lancaster aircraft remaining in airworthy condition out of the 7,377 that were built (the other is in Canada with the Canadian Warplane Heritage Museum at Hamilton, Ontario). The AV-36, constructed by Charles Fauvel and his son, made its first flight on December 31, 1951 demonstrating its outstanding flight qualities immediately along with excellent longitudinal stability. 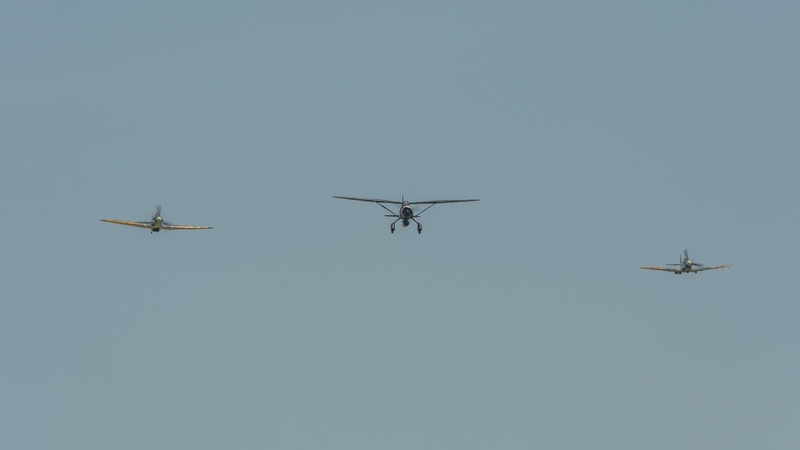 The AV-36 had performance very comparable to other gliders of the era with the advantage of being structurally simpler, stronger and less costly. 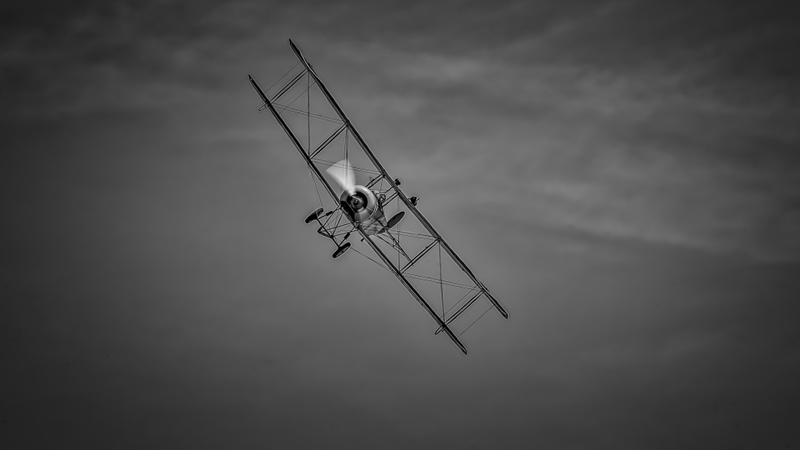 Many pilots achieved roundtrip distance flights of 500 kilometres. In June 1954, Eric Nessler, the very famous French glider pilot who was a strong supporter of the Fauvel type, participated in the Paris-Biarritz race flying the AV-36. In 1957, Claude Visse earned his FAI Gold Badge in the AV-36. 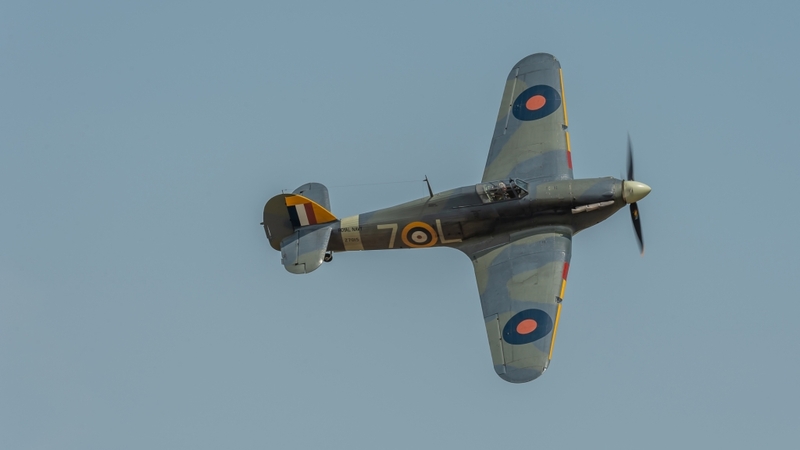 The last part of the show was reserved for the hurricane duo; the new resident at The Shuttleworth Collection in the shape of Battle of Britain veteran Hawker Hurricane P3717and the recently successfully restored Hawker Sea Hurricane Z 7015 . We then saw a wonderful WWI parade, but the penultimate ending was the “The Last Post’’ bugle call which has become synonymous with remembering the dead, a minutes silence, followed by the The Bristol F2.B / D8096 flying overhead in a tribute to all who were killed in the war, with a poppy drop…..
Poem by Laurence Binyon ~ first published in The Times in September 1914.